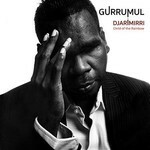 Over four years in the making and completed just weeks before his death in 2017, 'Djarimirri (Child of the Rainbow)' is an astounding achievement of music, presenting traditional songs and harmonised chants from his traditional Yolngu life with dynamic and hypnotic orchestral arrangements in a blend of the highest forms of both his culture and European orchestral culture. The album went to number one on the Australian ARIA chart, becoming Yunupingu first number one album. It is also the first time an Australian indigenous language album has peaked at number one. Skinnyfish Music producer Michael Hohnen said "It's such an unlikely record to go number one. No beats, no programming, no pop formulas. It's just kind of like the opposite of what you would expect but it's an incredibly honest record and something that we've spent so long making and been really passionate about."